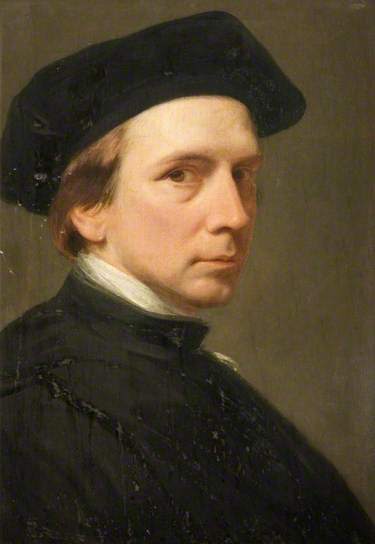 Self Portrait, 1854, Birmingham Museum & Art Gallery collection. Self Portrait, 1854, in the Birmingham Museum and Art Gallery collection. Inspired by a self portrait by Raphael in the Uffizi, Florence. Exhibited at the Whitechapel Gallery in 1905 as part of “British Art Fifty Years Ago”. The back of the canvas has the inscription: ‘Aetatis 45 Geo. Richmond Painted by Himself about 1854. Given to Cecilia Rann Kennedy Jany 12, 1881’. Many thanks to Maria Alambritis at BMAG for digging out this info about the provenance of this portrait.